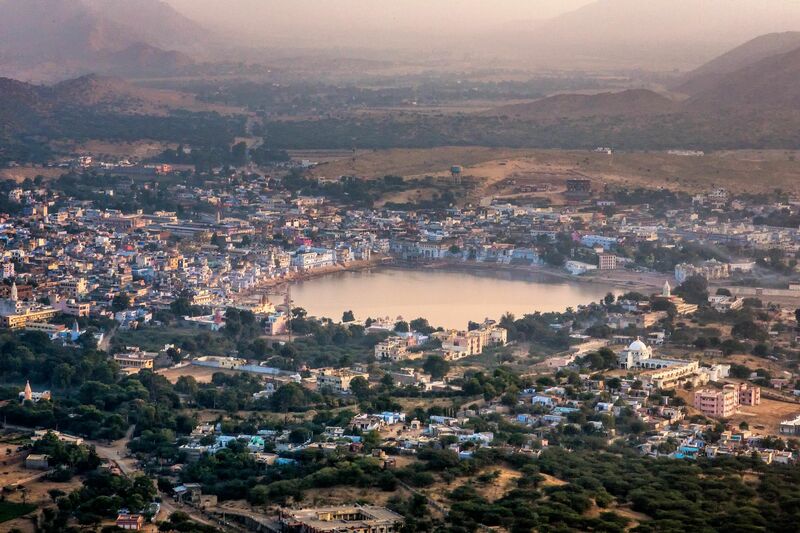 The town of Pushkar, in central Rajasthan, was already in existence in the fourth century BC and has always been noted primarily for the sacred lake at its center. 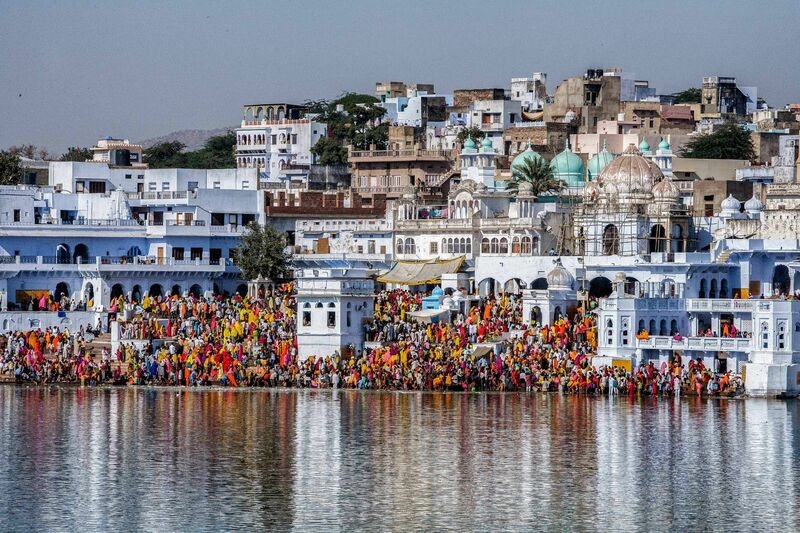 This continues today to be one of Indian’s major Hindu pilgrimage sites. The lake is said to have been created when Brahma’s lotus flower fell to earth at this spot. 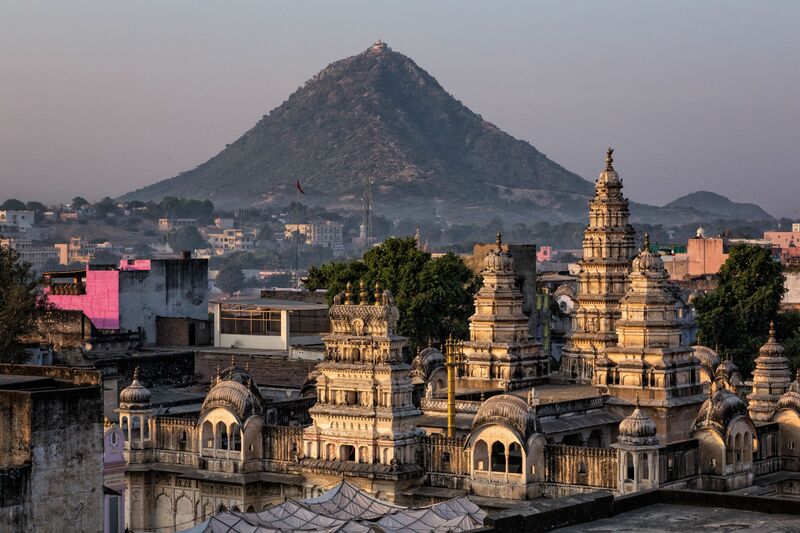 Although Brahma is one in the triad of major Hindu male deities, Pushkar’s Brahma Temple has been for most of history his only place of worship in all of India. Ritual bathing in the lake is thought by Hindus to be purifying, and especially efficacious if performed during Kartik Purnima, the festival of the full moon during the month of Kartik (October-November). 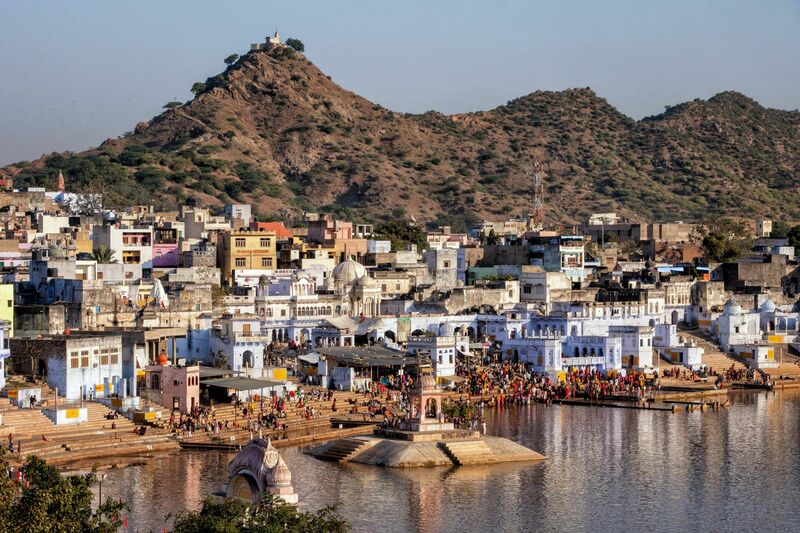 During this time, ritual circumambulation of the lake, with stops at many of the temples that line the ghats along the shore, is also highly auspicious. 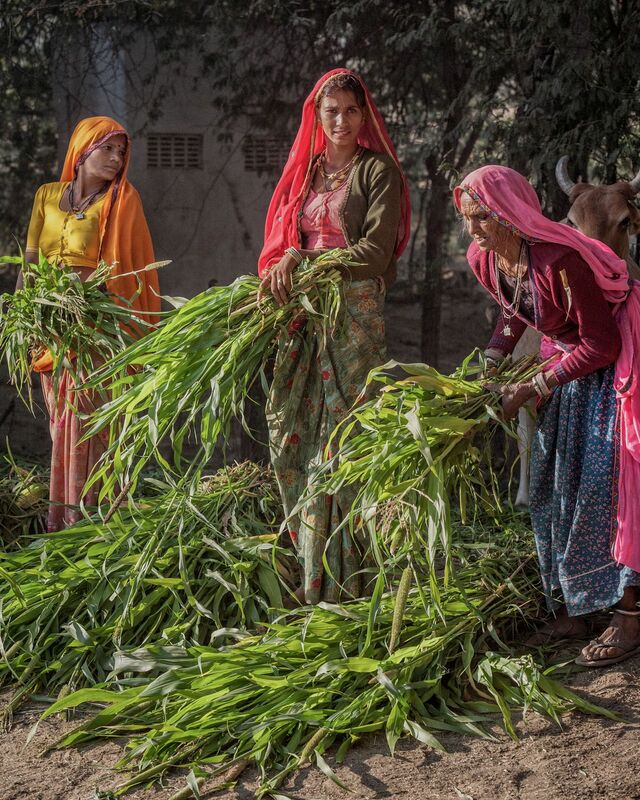 The images in this portfolio (and in the two others devoted to Pushkar) were made during the days leading up to Kartik Purnima—which is also the time of the annual Pushkar camel fair—during visits to Rajasthan in 2007 and 2012. 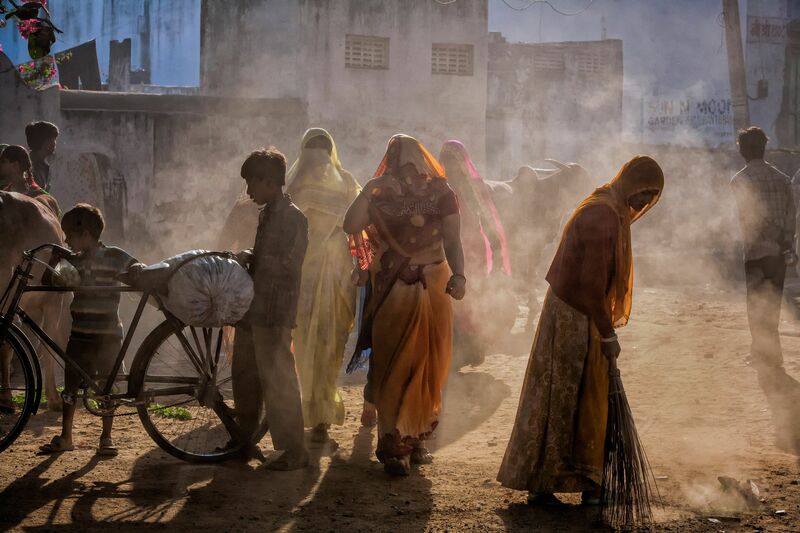 The present portfolio is focused on sights and activities in the town and around the lake during this most intense week of Pushkar’s annual calendar, when the streets and ghats are filled with pilgrims, wandering Hindu holy men (sadhus), tourists, traders and hucksters.